Oh yes…we couldn’t let a Christmas treat list go by without including a fabulous peanut butter treat. It just wouldn’t be right to discriminate against peanut butter at Christmas time…would it? And I am extremely in love with this bark. 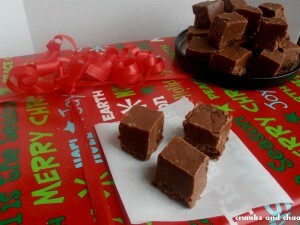 As in, it’s giving this peanut butter fudge a run for it’s money. 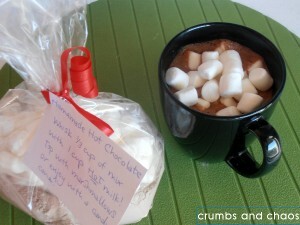 It’s so delicious and I love the layer of texture that is added by the crushed cookies and peanuts. Not to mention the fun of swirling the chocolate on top of the peanut butter candy layer. 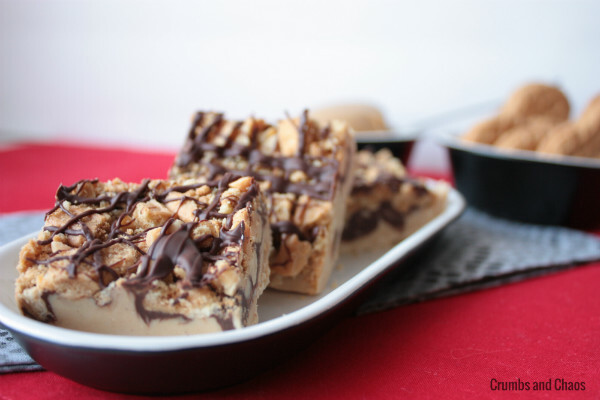 Go ahead, give this super easy treat to all the peanut butter lovers in your life. Line a 9x13 pan with foil, leaving some hanging over the sides. 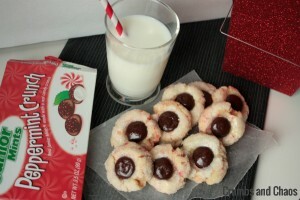 Place the cookies in a quart size plastic bag and coarsely crush* with a heavy kitchen utensil. Add coarsely chopped peanuts to the bag and shake to combine. Heat almond bark according to the package directions, stir until smooth. In a separate bowl, microwave chocolate chips and oil for 30 seconds. Stir and heat for another 30 seconds. Set aside. 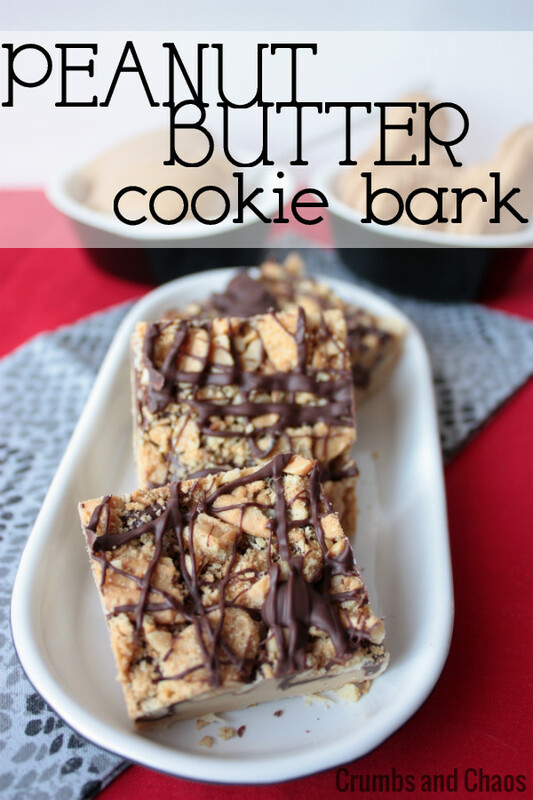 Add peanut butter to melted bark and mix well. Spread in the foil lined pan. Using a tablespoon, drop 8 spoonfuls of melted chocolate across the bark mixture. Swirl with a knife several times. Layer cookie-nut mixture over top of chocolate and press down firmly. Drizzle remaining chocolate over the top* and freeze about 5 minutes until set. Remove from pan using ends of foil and cut into rectangles. 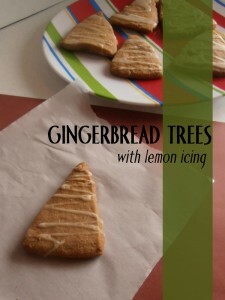 You don't many too many finely crushed pieces of cookie or they just fall off of the finished bark. An alternative would be drizzle after you cut into pieces, that way the chocolate that is drizzled on top wouldn't come off during the cutting process. Oh man does this bark look good! I am all over this! I think this is definitly a must make!!! This looks seriously addicting! 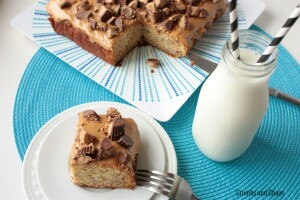 I am going to have to make this for my family of peanut butter lovers! I want, I want, I want. I love everything about this! It is an amazing combo 🙂 This font is called Ripe. Oh wow, I have never heard of the term “bark” when dealing with food, but it looks fantastic! Now that is some bark that I could do some serious damage to…YUM!!!! OMG! I love this. Talk about taking Bark to the next level. This is definitely on my must make list. I’m featuring you at this week’s Thursday’s Treasures. Thanks for sharing! I wish I had some of that right now because it looks unbelievably tasty! 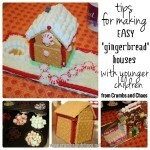 Thanks for linking up to Tasty Thursday.